Abiotic factors and species introductions can alter food web timing, disrupt life cycles, and change life history expressions and the temporal scale of population dynamics in zooplankton communities. We examined physical, trophic, and zooplankton community dynamics in the San Francisco Estuary, California, a highly altered Mediterranean climate waterway, across a 43-year dataset (1972–2014). Before invasion by the suspension-feeding overbite clam (Potamocorbula amurensis) in the mid-1980s, the estuary demonstrated monomictic thermal mixing in which winter turbidity and cool temperatures contributed to seasonally low productivity, followed by a late-spring-summer clearing phase with warm water and peak phytoplankton blooms that continued into early winter. Following the clam invasion, we observed a shift in peak phytoplankton bloom timing, with peak productivity now occurring in May compared to June prior to the invasion. Peak abundance of several zooplankton taxa (Eurytemora affinis, Pseudodiaptomus, other calanoids, and non-copepods) also shifted to earlier in the season. We present the first evidence of a shift in the timing of peak abundance for zooplankton species that are key prey items of delta smelt (Hypomesus transpacificus), a federally threatened pelagic fish species. These timing shifts may have exacerbated well-documented food limitations of delta smelt due to declines in primary productivity since the invasion of the overbite clam. Future conservation efforts in the estuary should consider measures designed to restore the timing and magnitude of pre-invasion phytoplankton blooms. 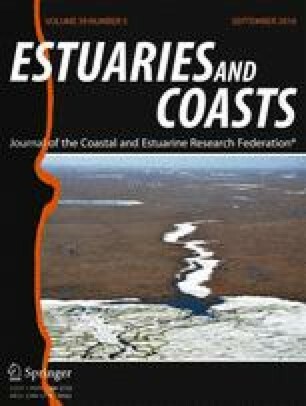 Long-term changes in food web processes in the Sacramento-San Joaquin Delta (Delta) and San Francisco Estuary (Estuary) have been well documented in recent studies, including appreciable declines in nutrient availability, phytoplankton production, and native pelagic species abundance (Kimmerer et al. 1994), changes to nutrient stoichiometry (Glibert et al. 2011), and alterations to zooplankton community structure (Winder and Jassby 2011). These changes have been associated with non-native species invasions (Winder and Jassby 2011), nutrient enrichment, and decreased resistance to nutrient pollution due to multiple anthropogenic drivers in the watershed (Cloern and Jassby 2012). While influence of these food web alterations on production and community composition in the Estuary has been well documented, such changes can also directly influence seasonal timing and synchronicity of species assemblages in large freshwater systems (Straile 2005). Such temporal shifts in environmental processes and availability of primary and secondary production to consumers can result in temporal asynchrony between predator and prey populations (e.g., the match/mismatch hypothesis; Cushing 1990), creating a food gap with important ecological and management implications (Bennett 2005; Miller et al. 2012). Given its ecological niche as an obligate pelagic planktivore, the status and fate of delta smelt (Hypomesus transpacificus), a federally threatened species endemic to the Estuary, are directly linked to the status of its zooplankton food base (Sommer et al. 2007; Slater and Baxter 2014). Therefore, understanding prey availability and how it changes through time can have critical implications for delta smelt conservation. However, studies have not specifically focused on changes in seasonal phenology of key Estuary zooplankton taxa. Altered food web phenology can disrupt zooplankton life cycles and change life history expressions and the temporal scale of population dynamics in plankton communities. Recent evidence increasingly suggests that natural cycles of variability in food web productivity (driven by nutrient availability and phytoplankton blooms) are being altered on a global scale by changing climatic conditions (Winder and Schindler 2004; Winder et al. 2009) and species introductions (Cloern 1996; Cohen and Carlton 1998; Kahru et al. 2011; Cloern and Jassby 2012; Kratina et al. 2014). Such alterations have the potential to decouple relationships between predator and prey production (Davis et al. 2010). Therefore, describing how ecological clockwork shifts may influence food webs and the organisms they support is critical to predicting biological responses to changes in climate, water quality and quantity, and non-native organism invasions. However, despite its ecological importance and relevance to aquatic resource management, characterizing the clockwork of aquatic food webs is a relatively new area of research (e.g., Belgrano et al. 2005; Johnson et al. 2009; Carpenter et al. 2009; Winder et al. 2009). Validating model predictions in such cases generally requires long-term (decadal) empirical datasets with appropriate resolution, which are typically rare for zooplankton communities. To date, few zooplankton data sets are rich enough to evaluate seasonal succession and life cycle synchronicity as they relate to the timing and availability of limiting resources. Notable exceptions are recent and include the work of Winder et al. (2009), who analyzed long-term trends in zooplankton abundance in Lake Washington (Washington, USA), revealing annual variation in the magnitude and timing of peak zooplankton abundance in response to changing temperature and nutrient availability and numerical generation shifts of dominant zooplankton over time. To examine temporal changes in the zooplankton community, and potential effects of these changes on the Estuary’s food web, we investigated seasonal trends in water quality, primary production, and key mesozooplankton taxa (defined as the most common prey of a federally listed, endemic fish species) by analyzing a 43-year time-series dataset (1972–2014) from the Estuary. The objective of this paper was to determine the extent of temporal shifting of water quality variables, primary productivity, and Estuary food web components, particularly the zooplankton community, during the past 43-year period of sampling, following the rapid expansion of a suspension-feeding overbite clam (Potamocorbula amurensis), and the synchronous declines in abundance of several pelagic organisms of the Estuary, including delta smelt. Results from this study provide the first indication of the extent that seasonal synchronicity in predator and prey timing has been altered in the Estuary, providing a better understanding of the challenges facing the recovery of delta smelt and the overall health of the Estuary. The San Francisco Estuary (37° 51′ N, 122° 22′ W) is the largest urbanized estuary (approximately 1235 km2) on the west coast of the USA (Lehman 2004; Oros and Ross 2005) (Fig. 1). It consists of a series of basins within three distinct watershed segments that collectively drain approximately 163,000 km2 (40 % of California’s surface area): the Sacramento-San Joaquin Delta, Suisun Bay, and San Francisco Bay (van Geen and Luoma 1999; Sommer et al. 2007). The Estuary has a Mediterranean climate, with two distinct seasons, defined primarily by the precipitation regime: a cool, wet winter season (November through April) and a warm, occasionally foggy dry season (May through October). As a result, during winter and spring, portions of San Francisco Bay mix with considerable freshwater inflow along with short water residence time and low water clarity (Rollwagen-Bollens et al. 2006). The uppermost region of the Estuary contains the Delta, which includes a complex network of tidal channels and leveed islands (Moyle 2002). These two rivers converge before connecting with Suisun Bay, a large, shallow, and historically productive expanse of brackish water that is strongly influenced by ebb and flood tides. Adjacent to Suisun Bay, Suisun Marsh, the largest contiguous brackish water wetland in the Estuary, provides fish nursery and migratory bird habitat (Moyle 2002; Sommer et al. 2007). The Estuary food web has been altered by a series of species invasions (Winder and Jassby 2011; Kratina et al. 2014). The introduced suspension-feeding overbite clam, which has spread throughout the entire Estuary following its introduction around 1986 (Nichols et al. 1990; Alpine and Cloern 1992; Winder and Jassby 2011), is a major driver of nutrient availability and pelagic food web dynamics in the Estuary. Filter-feeding activity of this invasive clam greatly reduced Estuary nutrient availability and phytoplankton production (Kimmerer et al. 1994), likely contributing to increased water clarity following its introduction (Kimmerer 2004; Winder and Jassby 2011). Substantial abundance and composition changes have simultaneously occurred in the zooplankton community (Orsi and Ohtsuka 1999; Winder and Jassby 2011). For example, reduced zooplankton abundance and biomass have been attributed to clam predation and reduced phytoplankton availability (Kimmerer et al. 1994; Winder and Jassby 2011). In addition, increased discharge of ammonium to the Estuary, largely from treated domestic sewage effluent, has been linked to food-limited conditions and to reduced fish abundance (Dugdale et al. 2007, 2012, 2013; Glibert 2010, 2012; Glibert et al. 2011). Zooplankton abundance declines have been partially compensated by the non-native cyclopoid copepod Limnoithona tetraspina, introduced in 1993 (Bouley and Kimmerer 2006; Winder and Jassby 2011). Within a year of introduction, L. tetraspina accounted for nearly 95 % of median total adult copepod abundance in the low-salinity zone, with adult biomass values similar to those of the other two larger dominant calanoids, Pseudodiaptomus forbesi and Eurytemora affinis (hereafter referred to as Eurytemora), reaching densities as high as 10,000/m3 (Bouley and Kimmerer 2006). While young delta smelt larvae consume L. tetraspina, unless resources are limited, late juvenile and older delta smelt do not readily consume L. tetraspina. Due to L. tetraspina’s relatively small size, its utility as a food source is in question (Lott 1998; Bouley and Kimmerer 2006; Baxter et al. 2010; Hennessy 2011; Slater and Baxter 2014). During the past several decades of environmental changes, species introductions, and Estuary food web alteration, delta smelt abundances have declined. Once the most abundant fish sampled in Delta trawl surveys (Stevens and Miller 1983; Moyle and Herbold 1989; Stevens et al. 1990), delta smelt catches were reduced to such a low level as to justify its listing as threatened under the Endangered Species Act in 1993. Subsequently, delta smelt experienced a further abundance decline (2002–2012) that coincided with diminishing abundance of various other pelagic vertebrate and invertebrate species, an era termed the Pelagic Organism Decline Period (POD; Sommer et al. 2007). The long-term decline in delta smelt abundance coincided with declines in phytoplankton and native zooplankton production, suggesting that zooplankton availability and quality may have played a role (Winder and Jassby 2011; Slater and Baxter 2014). Data used in this study were obtained from the zooplankton monitoring program of the California Department of Fish and Wildlife (CDFW). Water quality, chlorophyll-a, and zooplankton data were collected at least monthly during most years from 1972 to 2014 at 14 consistently surveyed stations located along San Pablo Bay, Suisun Bay, Suisun Marsh, and through the Delta Confluence up to the South Delta (Fig. 1). Detailed sampling and analysis methods are described in Orsi and Mecum (1986). We included three water quality variables and a measure of primary productivity suspected of limiting Estuary zooplankton production and for which long-term data were available: (1) water surface temperature, (2) water clarity (Secchi depth), (3) surface electrical conductivity (EC), and (4) chlorophyll-a concentration. These parameters were chosen to capture variability associated with annual cycles of the Estuary food web, including the biomass and activity of invertebrate herbivores (Cloern and Dufford 2005). Methods for sampling water quality and primary production (except for Secchi depth) are described in Orsi and Mecum (1986). Secchi depth was measured to the nearest centimeter and collected out of direct sunlight (April Hennessey, CDFW, personal communication). Use of chlorophyll-a as a measure of phytoplankton abundance in systems like the Estuary, which have undergone major shifts in species composition, is sub-optimal compared to the measure of centric diatoms, which was previously the dominant phytoplankton and best supports delta smelt’s food web (Glibert 2010). However, measurements of centric diatoms were not taken during this study; therefore, chlorophyll-a provided the best available measure of productivity. Zooplankton were collected monthly using a 10-cm-diameter Clarke-Bumpus net fitted with 154-μm mesh towed obliquely for 10 min from bottom to the surface. Samples were preserved in a 5 % formalin solution with Rose Bengal dye added to aid in distinguishing plankton from detritus or debris material (Orsi and Mecum 1986). Copepods were identified to genus or species when possible, while most other invertebrate taxa were identified to genus or to the lowest possible taxonomic level. While data was available for the juvenile zooplankton life stages, consistent catches of juveniles across all sampling years were not available for all taxa groups. Therefore, we relied on the adult life stage for analysis. Five zooplankton taxonomic groups were used for analysis: E. affinis, Pseudodiaptomus spp., other calanoids, cyclopoids, and non-copepods. Taxa groups were chosen and assembled because of their prevalence in delta smelt gut samples (Moyle et al. 1992; Lott 1998; Nobriga 2002; Hobbs et al. 2006) and their prevalence in the zooplankton monitoring data. Other calanoids included all copepods in the family Calanoida, except for the two specified taxa (E. affinis and Pseudodiaptomus spp.) (Table 1). The cyclopoid group included all copepods in the family Cyclopoida, while the group of non-copepods contained all other non-copepod taxa in the dataset (Table 1). Due to the small size of L. tetraspina, a numerically dominant exotic cyclopoid species (Winder and Jassby 2011), the Clarke-Bumpus net may not have captured this species efficiently. Therefore, the cyclopoid group may be biased toward larger cyclopoids. Intra-annual taxonomic succession at the zooplankton population and community levels is typically observed in freshwater systems and appears to be driven by seasonality in light, temperature, and nutrients (Sommer et al. 2012). Solar insolation and precipitation are two factors that influence these processes, along with water column light penetration and heat absorbance (Cloern 1991; Torremorell et al. 2009). To describe ecological succession of the Estuary’s food web taxa, we calculated monthly mean solar declination for San Francisco Bay using the NOAA solar calculator (http://www.esrl.noaa.gov/gmd/grad/solcalc/). We then obtained historical data prior to the invasion of overbite clam (1978–1985) of mean monthly precipitation and air temperature data from the Port Chicago Naval Depot station (Fig. 1) available from the NOAA National Climatic Data Center (http://www.wrcc.dri.edu). Chlorophyll-a data were used as a proxy for pelagic primary production because they are most relevant to total ecosystem production within large, open waters (Christensen et al. 2009). We examined changes in timing of seasonality of each factor during the last half century, by summarizing each factor through the calendar date on which the yearly maximum value was observed (Winder and Schindler 2004). We determined the calendar date of the maximum for each of the 10 factors at each of the 14 stations for each of the 43 years, provided there were data. We followed an identical analysis for each factor, although given model selection, not all factors were fit with the same final model. Following Winder and Schindler (2004), we analyzed how timing of the peak changed over time using linear mixed models (LMMs), which allow us to assess directional changes in seasonal timing while accounting for correlated error structures (Pinheiro and Bates 2000, Pinheiro et. al 2016). We analyzed the data using the lme function in the nlme package (Pinheiro et. al 2016) in R (R Core Development Team 2016). We included a linear slope as a function of year and grouped the data by station, which was allowed to impact both the intercept and the impact of year. We checked for autocorrelated residuals using the ACF function in the nlme package (Pinheiro et al. 2016), using standardized residuals (Box et al. 1994; Pinheiro and Bates 2000). If significant autocorrelation was detected, a first-order autoregressive (“AR1”) term was included to structure the variance within station, and the model was refit (Pinheiro and Bates 2000). Modeled solar declination ranged from −1.38 in December to 1.34 during June (Fig. 2a). Similarly, mean monthly air temperature ranged from 6.9 °C in January to 21.3 °C in July, with an approximate 1-month lag between peak annual temperature and peak annual solar declination (Fig. 2a). The monthly rain pattern occurred as a reciprocal to solar declination, with mean monthly precipitation ranging from 0.05 cm in August during the dry/warm period to 8.9 cm in January during the wet/cool period. Annual trends in environmental variable values observed prior to the overbite clam invasion (1978–1985) revealed temporal oscillation between relatively cool-wet (November–March) and warm-dry (April–October) seasons (Fig. 2a), including relatively low EC values during the cool-wet period, and increasing salinity as the annual warm-dry period progressed (Fig. 2b). In turn, water temperature trends mirrored air temperature. Relatively low salinity was observed annually from February through July (Fig. 2b). Two clearing trends occurred during March–April and August–November (Fig. 2c). Primary productivity peaked annually during May and June, while a second, lesser peak occurred during August, followed by relatively low productivity from November through March. Mean monthly Secchi depth values ranged from 39.5 to 52.3 cm during the annual clearing phase (April through October) and from 29.8 to 30.0 cm during the rest of the year. During the end of the relatively cool mixing phase (March), average chlorophyll-a concentration was 2.2 (±0.4 SE) m−3 but increased exponentially during the clearing phase, with mean monthly concentration peaking in June at 13.6 (±1.4 SE) m−3, corresponding to a mean monthly Secchi depth of 35.9 (±2.0 SE) cm. Turbidity increased (decreased Secchi depth) annually during May and June, followed by a subsequent gradual decline through November (Fig. 2c). Mean monthly zooplankton biomass patterns closely followed seasonal chlorophyll-a and water temperature cycles. The overall trend in peak abundance for all the taxonomic groupings of zooplankton abundance was earlier over time, with the only exception being cyclopoids, which showed no directional change over time (Table 2 and Fig. 3). The overall trend in peak abundance was also earlier for total zooplankton abundance and chlorophyll-a, while water temperature and clarity peak showed no directional change over time (Table 2 and Fig. 3). Surface electrical conductivity was the only variable that showed a significant trend of the peak moving later in the year (Table 2 and Fig. 3). None of the variables showed significant variation among sites in their responses over time (all sites responded similarly over time, all p > 0.75), but site remained in the models as a grouping (random) factor that impacted the intercept values (Table 2 and Fig. 3). Peak Eurytemora abundance now occurs at the end of March/beginning of April, whereas it previously peaked in July (Fig. 3f). Similarly, peak non-copepod abundance has shifted considerably earlier over time with peak abundance occurring in late May in recent years, compared to early August in the 1970s. Total zooplankton and other calanoids both exhibited an earlier shift in peak abundance of approximately 5 weeks across the 43-year period (Fig. 3e, h). Although Pseudodiaptomus have only been captured since 1988, their peak abundance has shifted almost 3 weeks earlier in the season (Fig. 3g). Peak cyclopoid abundance does not show a directional trend over the last half century but did appear to shift later in the season in the 1980s and then shifted back in the mid-1990s (Fig. 3i). Peak chlorophyll-a abundance now occurs during May, whereas it used to peak in late June (Fig. 3d). This study revealed that the Estuary exhibits seasonal successional patterns of taxa abundance similar to those observed in temperate lakes (Amblard 1988; Roelke et al. 2004; Winder et al. 2009). Even with relatively short water residence times, the Estuary exhibits seasonal cyclical patterns in physical conditions, primary productivity, and the zooplankton community, common to limnological concepts developed primarily in lotic systems. During the Pre-clam invasion (1978–1986), the Estuary demonstrated a monomictic pattern of thermal mixing, in which high winter turbidity and cool temperatures, driven by low solar and high rain inputs, contributed to seasonally low productivity. Mixing was quickly followed by a clearing phase, when water temperatures warmed, nutrients were abundant, and phytoplankton blooms peaked. By early summer, algae accumulation combined with plankton grazing, limited primary productivity, and reduced turbidity led to a cyclical extended phytoplankton bloom that continued through the productive summer period into the following winter. Since the Estuary invasion by the overbite clam (mid-1980s), we observed a shift to earlier peak primary productivity in May, compared to a late June peak observed prior to the clam invasion. Following this invasion, Estuary water clarity increased dramatically (Kimmerer et al. 1994), a change that may have contributed to the observed shift to earlier peak annual primary productivity identified in our study. Increased water clarity may have attenuated or removed the control of seasonally low light penetration that previously regulated annual timing of primary production. However, a variety of factors in addition to light intensity (e.g., water consumption and diversion, turbidity and sediment input supply, non-native species, sewage input, and climate shifts) can also influence annual phytoplankton patterns (Cloern and Jassby 2010). Although not measured in our study, even with sufficient ambient nutrient concentrations, shifts in nutrient ratios and chemical form of available nutrients can be important and can alter phytoplankton community structure and taxonomic seasonal succession and the magnitude of primary production (Anderson et al. 2002 and references therein; Dugdale et al. 2007; Glibert et al. 2011). While our analysis was unable to compare the relative contributions of increased grazing rates, decreased turbidity, or altered nutrient ratios to earlier-season chlorophyll-a peaks, previous work has suggested that each of these factors may have contributed (e.g., Cloern and Jassby 2010; Glibert et al. 2011; Kimmerer et al. 2014). Similar to primary productivity, all zooplankton taxa, except cyclopoids, exhibited a shift to earlier peak abundance across time. The most striking shift in phenology occurred for Eurytemora, with mean timing of peak abundance shifting 3 months earlier across time. However, overall abundance also declined significantly for this species since the mid-1980s, while Pseudodiaptomus abundance simultaneously rose (Winder and Jassby 2011). Temperature and salinity have been shown to control Eurytemora vital rates, including egg production and development (Heinle 1970; Devreker et al. 2012) and swimming rate (Seuront 2006). However, in our study, these factors did not change directionally over time. Thus, it was more likely that shifts in predator, prey, or competitor numbers drove the population of Eurytemora to adapt to changing conditions. The observed shifts in peak availability of the primary prey items of delta smelt could have contributed to their observed decline in abundance. Although the well-documented long-term decline in phytoplankton biomass and primary productivity since the overbite clam invasion is believed to be a major driver of the decline in zooplankton and their predator, delta smelt (Jassby 2008; Winder and Jassby 2011; IEP MAST 2015), a simultaneous shift in the timing of prey presence for larval and juvenile delta smelt may have exacerbated food limitation effects. Shifts in the timing of phytoplankton have been shown to have cascading effects in food webs, influencing the ability of larval fish to develop, thus reducing the number of fish that recruit into an existing population (Cushing 1990). A major assumption of this process, coined by Cushing (1990) as the match/mismatch hypothesis, is that the life history timing of fish has evolved to synchronize the juvenile rearing period with maximum annual prey availability. Therefore, under normal “match” conditions, the development of immature fish is timed to best take advantage of plankton blooms, while a “mismatch” occurs when plankton blooms occur either earlier or later than usual or in lesser quantities than expected. In subarctic coastal ecosystems, two distinct reproductive strategies in pelagic fish have been observed in relation to larval prey availability, with “synchronous” strategists producing larvae during the peak of food availability and “early” strategists producing larvae weeks or even months before the phytoplankton bloom and maximum prey abundance (Fortier et al. 1995). Because delta smelt appears to have peak spawn timing occurring in March or April (Sommer et al. 2011), our observations suggest that peak timing of prey productivity during recent time periods (May) may be better aligned with the arrival of delta smelt larvae than peak prey presence during the pre-clam period (late June). This may imply that delta smelt historically exhibited an “early” strategy where arrival of larvae occurred months before peak prey availability. Bollens et al. (1992) suggested that this “early” strategy of pelagic fishes is dictated by the need to either avoid predators that would have otherwise been present during peak productivity or to synchronize later metamorphosis with peak prey presence in the summer months. Therefore, the earlier timing of peak productivity in recent years may now occur at too early of a developmental stage for delta smelt to best take advantage of peak food resources. Alternatively, an earlier peak in Estuary productivity may make larval delta smelt more vulnerable to predation than they were historically. Regardless of the exact mechanism of potential match/mismatch of delta smelt with their prey, the shift in peak prey production may have contributed to reduced recruitment observed since the clam invasion. Any major shift in prey production could be especially detrimental to delta smelt if fish larvae production has been seasonally fixed through time. Many marine fish populations exhibit consistent larval production timing across years, while primary prey presence varies widely from year-to-year, making annual recruitment of these fishes strongly influenced by timing of prey availability (Ellertsen et al. 1989; Paul et al. 1991; Fortier et al. 1995). Unfortunately, no long-term dataset of delta smelt spawn timing is available to answer this question, as the sexual maturity of delta smelt has only been indexed since 2002 with the initiation of spring trawl sampling by the CDFW (https://www.wildlife.ca.gov/Conservation/Delta/Spring-Kodiak-Trawl). This study highlights the importance of a long series of frequently and consistently collected data and the complexities of food web interactions associated with sequential perturbations, including non-native species introductions. Although this study provides valuable insight into long-term seasonal limnological and zooplankton community responses to serial perturbations in the Estuary, it did not adequately reveal linkages between observed changes and the status of imperiled delta smelt since the introduction of the overbite clam. Future research should be directed at exploring mechanisms linking temporal and spatial variability of prey presence with delta smelt distribution and abundance. While recent studies have debated how abiotic factors (specific conductance, Secchi depth, and temperature) have affected availability of suitable habitat for delta smelt (Feyrer et al. 2011, 2015; Manly et al. 2015), our study suggests that the effect of changes in prey availability on delta smelt distribution also be included in future studies of delta smelt habitat. Overall, this study revealed large shifts in chlorophyll-a concentration and phenology of four zooplankton taxonomic groups (Eurytemora, Pseudodiaptomus, other calanoid, and non-copepod abundance) in the Estuary. In all cases, these biological responses occurred earlier in the year across the 43-year period. Despite previous study of these data and on components of the Estuary, this work represents the first conclusive published analysis to confirm detailed shifts in timing of peak abundance for key zooplankton taxa in this ecologically, recreationally, and commercially important region. Future conservation efforts in the Estuary should consider measures designed to restore the timing and magnitude of historical, pre-invasion phytoplankton blooms. We gratefully acknowledge the CDFW for many years of data collection and dissemination. We thank J. Melgo for data query and analysis and P. Rueger for providing assistance on GIS spatial analyses and figure development. We also thank the editor and two anonymous reviewers for their comments that improved the manuscript. Funding for this project was provided by the Center for California Water Resources Policy and Management. Baxter R., R. Breuer, L. Brown, L. Conrad, F. Feyrer, S. Fong, K. Gehrts, L. Grimaldo, B. Herbold, P. Hrodey, A. Mueller–Solger, T. Sommer, and K. Souza. 2010. Interagency Ecological Program 2010 pelagic organisms decline work plan and synthesis of results. Interagency Ecological Program for the San Francisco Estuary. IEP technical report. Sacramento (CA): California Department of Water Resources. Available from: http://www.water.ca.gov/iep/docs/FinalPOD2010Workplan12610.pdf. Last accessed on 9 September 2015. Bennett, W.A. 2005. Critical assessment of the delta smelt population in the San Francisco Estuary, California. San Francisco Estuary and Watershed Science, 3(2). jmie_sfews_10969. Retrieved from: http://escholarship.org/uc/item/0725n5vk. Last accessed on 9 September 2015. Hennessy, A. 2011. Zooplankton monitoring 2010. Interagency Ecological Program for the San Francisco Estuary. IEP newsletter 24(2):20–27. Sacramento (CA): California Department of Water Resources. Available from: http://www.water.ca.gov/iep/newsletters/2011/IEPNewsletterFinalSping2011.pdf. Last accessed on 9 September 2015. Interagency Ecological Program Management, Analysis, and Synthesis Team (IEP MAST). 2015. An updated conceptual model of delta smelt biology: our evolving understanding of an estuarine fish. IEP technical report 90. Sacramento (CA): California Department of Water Resources. 200 p. Available from: http://www.water.ca.gov/iep/docs/Delta_Smelt_MAST_Synthesis_Report_January%202015.pdf. Last accessed on 10 October 2015. Jassby, A.D. 2008. Phytoplankton in the upper San Francisco Estuary: recent biomass trends, their causes and their trophic significance. San Francisco Estuary and Watershed Science 6(1). Available from: http://escholarship.org/uc/item/71h077r1. Last accessed on 10 September 2015. Kimmerer, W.J. 2004. Open water processes of the San Francisco Estuary: from physical forcing to biological responses. San Francisco Estuary and Watershed Science 2(1) jmie_sfews_10958. Available from: https://escholarship.org/uc/item/9bp499mv. Last accessed on 10 September 2015. Pinheiro, J., D. Bates, S. DebRoy, D. Sarfar, and R Core Team. 2016. Nmle: linear and nonlinear mixed effects models. https://cran.r-project.org/web/packages/nlme/index.html. Accessed 18 Apr 2016. R Core Team. 2016. R: A language and environment for statistical computing. R foundation for statistical computing. http://www.R-project.org/. Accessed 18 Apr 2016. Slater, S.B., and R.D. Baxter. 2014. Diet, prey selection, and body condition of age-0 delta smelt, Hypomesus transpacificus, in the Upper San Francisco Estuary. San Francisco Estuary and Watershed Science 12(3): 1–26. Available from: http://escholarship.org/uc/item/52k878sb. Last accessed on 9 September 2015. Sommer, T., F. Mejia, M. Nobriga, F. Feyrer, and L. Grimaldo. 2011. The spawning migration of delta smelt in the upper San Francisco Estuary. San Francisco Estuary and Watershed Science 9(2). Available from: http://escholarship.org/uc/item/86m0g5sz. Last accessed on 9 September 2015. Stevens, D.E., and L.W. Miller. 1983. Effects of river flow on abundance of young Chinook salmon, American shad, longfin smelt, and delta smelt in the Sacramento-San Joaquin River System. American Journal of Fisheries Management 3:425–437. Available from: http://afsjournals.org/doi/abs/ 10.1577/1548-8659%281983%293%3C425%3AEORFOA%3E2.0.CO%3B2. Last accessed on 9 September 2015.